Here is a fun and easy drink for the kids on Easter! All you need for this is a hollow chocolate Easter bunny. 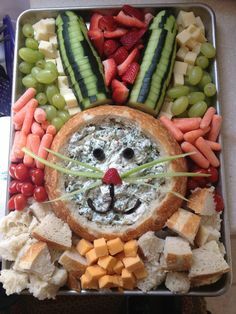 Simply cut off the top of the bunny and fill it with milk. I suggest that you put the chocolate bunny in the freezer before serving to ensure it doesn’t melt and get messy. The kids will love this and have a sweet treat after their drink is gone. If you are busy planning Easter festivities and need a little break, the adults can also enjoy a drink. Mix your favorite shot and pour it in the hollow chocolate bunny (I used Kahlua and milk).